What is a Benchmarking Project and How Do You Do Benchmark Analysis? If you’ve read our first two Benchmarking 101 articles, then you 1) know what competitive benchmarking is, and 2) you know a few competitive benchmarking best practices to follow. In this article, we’re going to give you a handy step-by-step guide for performing a competitive benchmarking analysis on your business (or any business). This will set up the following article, in which we’ll show you how to put to use all the benchmarking lessons that we have written for you. But first, what exactly is a competitive benchmarking analysis project? It’s the collaborative effort of key managers and subject matter experts in compiling and analyzing benchmarking data so as to give management (includes C-Suite managers as well as line managers, the Board of Directors, etc.) and stakeholders the ability to compare the quality of the organization’s performance (e.g., a company’s productivity, staffing levels, financial performance, etc.) against those of other organizations in the same industry through the use of standardized metrics, or KPIs. Once such competitive benchmarking projects are completed, all those involved are able to identify what needs improvement, and develop an action plan to move towards company-wide improvement. Outlining the benchmarking project’s scope – what department or function will be the subject of the benchmarking analysis. Defining the KPIs and metrics you need to benchmark against your competitors. Sourcing and compiling your benchmarking data to properly compare your company to those of your peers. Analyzing your benchmarking database and presenting the results to managers and stakeholders. Each of these steps will be explained in more detail, I promise. So read onwards! Defining the scope (i.e., the part of the project where plans are made involving what needs to be achieved and the work that must be done to deliver the project in a timely and cost effective manner) of the competitive benchmarking analysis project should always be your starting point. After all, you don’t want this competitive benchmarking project to slide out of control before it begins. What are the goals of the competitive benchmarking analysis project? What’s the timeframe for the competitive benchmarking analysis project? What’s being assessed? That is, which lines of business, departments, business processes, work activities and/or employees will you benchmark? Is there any specific regional priority? What is the overall focus of the competitive benchmarking analysis project effort? Is it market-focused benchmarking? Financial-focused? Product-focused? Operational? Or individual-level benchmarking? Who will be involved in the project—and in what capacity? Who are your competitors, or peers? OpsDog benchmarking best practice tips: After you’ve answered these questions, write them down. The entire document should be one or two pages long, max. Then distribute the scope document to all competitive benchmarking analysis project participants. Get their input. It’s essential that you establish the scope and direction upfront, as this document will double as a reference guide to help you keep the competitive benchmarking analysis project on track. Which KPIs will you choose to compare your company’s performance to others? The list of metrics you create is crucial. Keeping in mind the scope of the benchmarking project (which you just defined in Step 1), build your KPI list with the help of internal subject-matter experts. Refine your list with the help of research: do some searching on Opsdog for KPIs (https://opsdog.com/search), tap the knowledge of industry associations, business contacts, and good ol’ Google to ensure you end up with a comprehensive list of metrics to study for the areas you plan to scope. The metrics must align with the focus and goals of the specified competitive benchmarking analysis effort. That is, they must meet the criteria for the questions you answered in Step 1. The list should be reasonable in length. 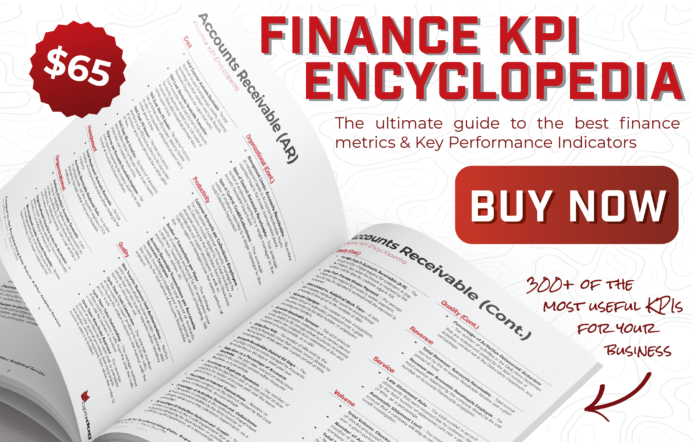 It makes no sense to try and manage 100 different KPIs. As a rule of thumb, try and limit your list to about 5-10 KPIs per area to be studied. A simple benchmarking KPI definition. A few rules pertaining to its measurement (i.e., what to include and exclude from the calculation). Meta data related to any relevant systems, employees, or data sources. Not only will your “data dictionary” be an ongoing reference throughout the life of the project, but it’s also a living document. It needs to be continually updated and refined throughout the competitive benchmarking analysis project—and beyond. You’re halfway done. Only two steps left. Internal benchmark data. This is what you can gather from sources inside your company. This typically includes benchmark data exported from various internal systems (ERP, general ledger, HR management systems, etc. ), as well as benchmark data included in pre-formatted reports. External benchmark data. This is info you’ll pull from other companies and benchmark data providers. Typical sources include industry associations, government agencies (e.g., FINRA, healthcare.gov, etc. ), consultancies, and third-party benchmark data providers such as Bloomberg and OpsDog. And did we mention OpsDog? Right. OpsDog. We are a freakin’ benchmark data factory. 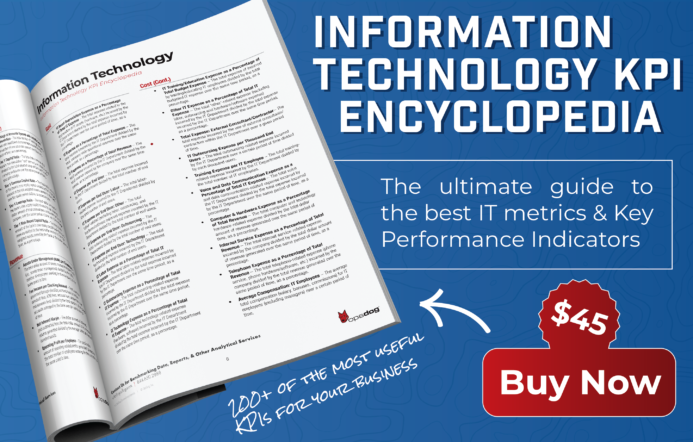 Check out how much benchmarking data we put at your fingertips! Demographic attributes (region, company size, etc.). Add more benchmarking analysis data to this “master file” as it becomes available. You’ve sourced and compiled your benchmarking analysis data. Congratulations! Now you’ll analyze it, collate it, and prepare it for center stage in your upcoming presentation. Warning: Benchmarks can be divisive. (“You really think my department is that bad? Where’d you get that benchmark data?! Who are you comparing us to?! You are seriously threatening my bonus!”) So be sure to make clear, in your presentation, that 1) competitive benchmarking is merely a means to an end, and not an end in itself; and 2) further action will be required to actually achieve the desired benefits of cost reduction, productivity gains, service-level improvement, etc. Consider the benchmarking audience. Executives, managers, and front-line employees each will have different perspectives and attention spans. Be sure to craft a slightly different competitive benchmarking analysis presentation experience, tailored for each audience segment. File appropriately. Make sure that the file-format of your competitive benchmarking analysis presentation works well for you and the others with whom you’ll share it. Should it be in PowerPoint, PDF, Excel, Tableau? It must meet the expectations and needs of your audience. Sweat the details. Invest the time needed to really nail the page layout, chart design, and related on-page elements. Keep them clear and devoid of clutter. This is easier said than done. Lead with key findings (the “headlines”) and anecdotes to get their attention. Briefly dive into detail to build credibility. Then go straight to the bottom line (i.e., what are the benefits and how can we get there?). This entire cycle needs to be completed in a relatively short amount of time—we’re talking five minutes or less. Drown out the noise in your competitive benchmarking analysis presentation, or risk losing your audience before you can make your point. To help you with this task, develop a page format or document structure that creatively combines competitive benchmark data (facts) with anecdotes (customer or employee stories, or comments). For example, if you are presenting a chart related to “How Long the Call Center Requires to Answer an Incoming Call (i.e., Average Speed of Answer),” pair it with some selected customer comments related to the wait times—and how that impacts their overall experience. Round 3 of 4 in This Competitive Benchmarking Analysis Bootcamp is Done! You’ve jammed a lot of important info into your brain in these past few minutes; consider yourself on the Road To Competitive Benchmarking! In our next article, we’re going to pick up exactly where we left off here. That is, we’re going to give you step-by-step directions for identifying performance gaps, documenting and implementing best practices, and continuously measuring your progress. Want some ammo for the journey? 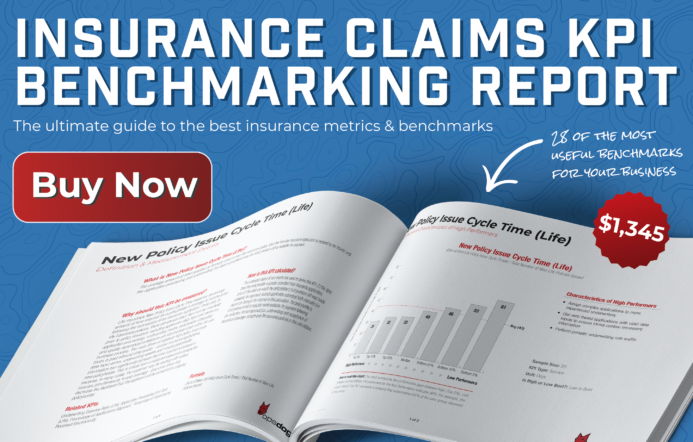 Peruse our downloadable library of benchmarking reports, packed with rich benchmark data spanning numerous industries and verticals.